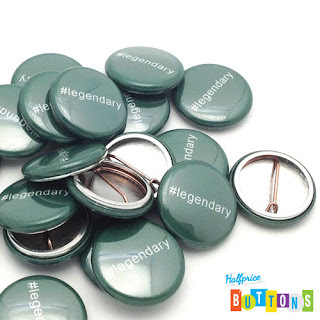 Blank Pinback Buttons are all the rage. 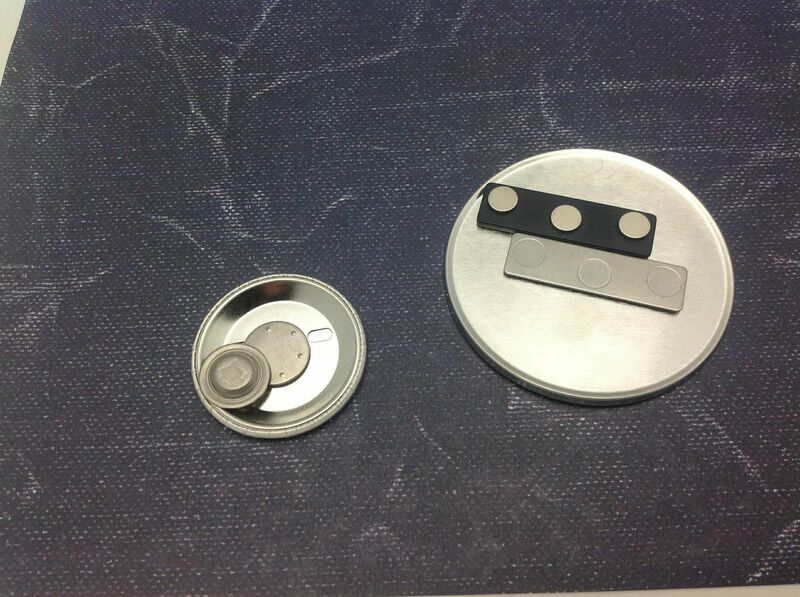 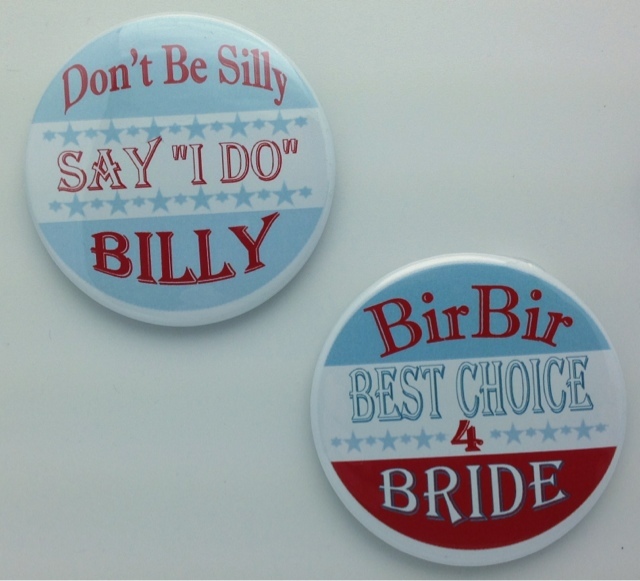 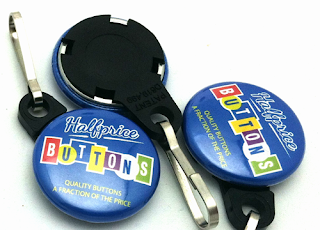 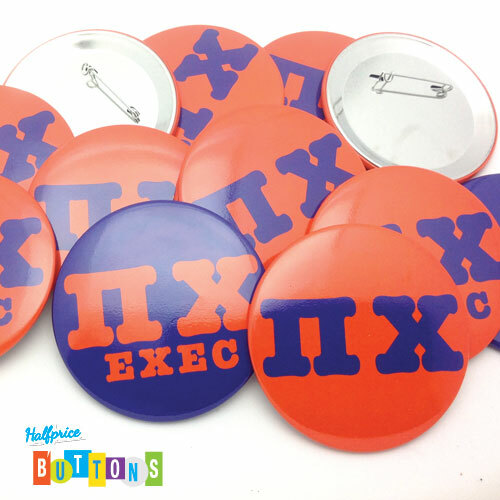 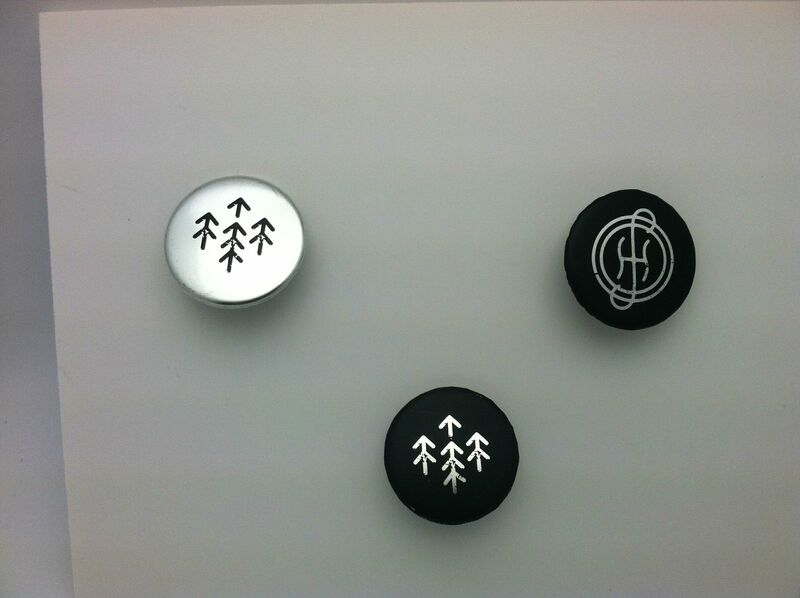 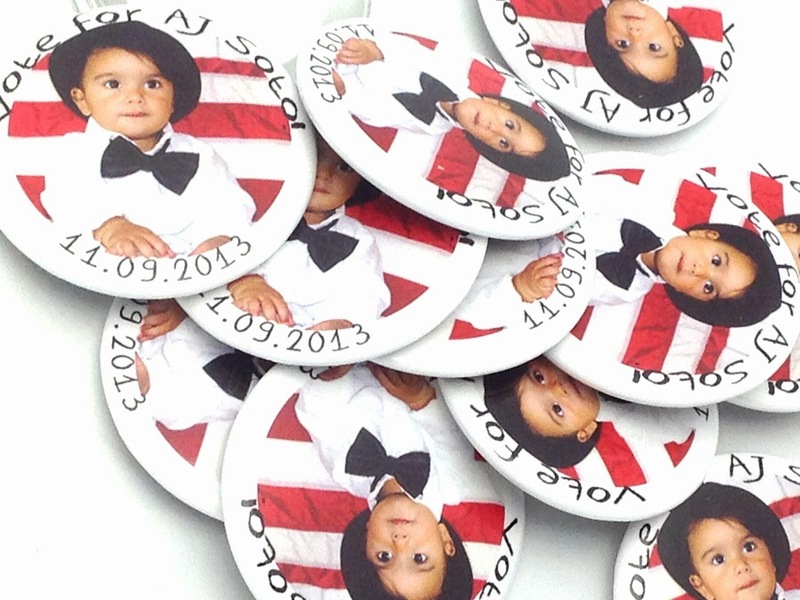 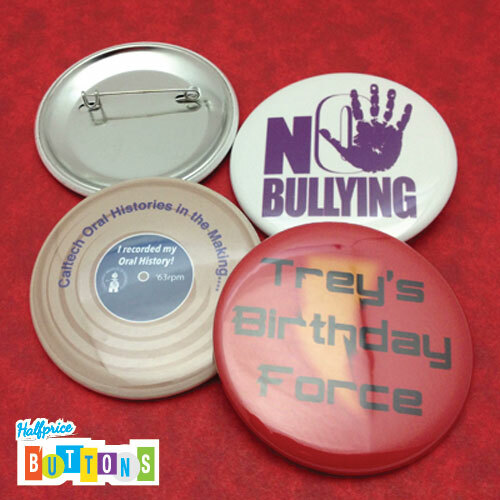 We can provide you a blank button in any of our shapes with a white background, or any other color. 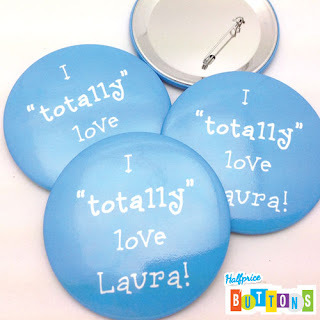 These are great for making your own name tags, or for cancer survivors to write how many years they have been cancer free. 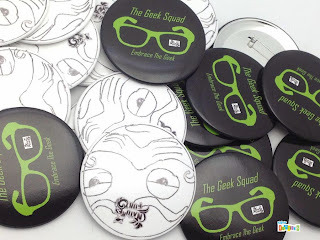 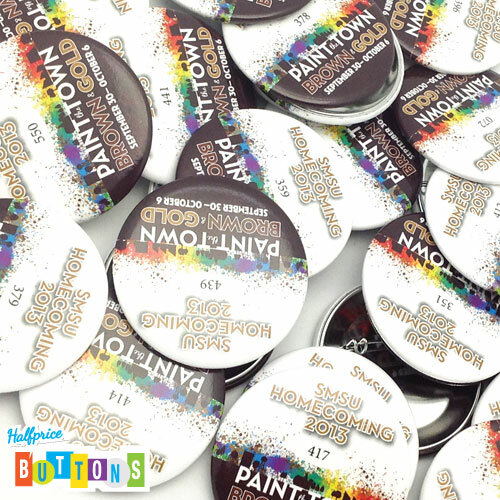 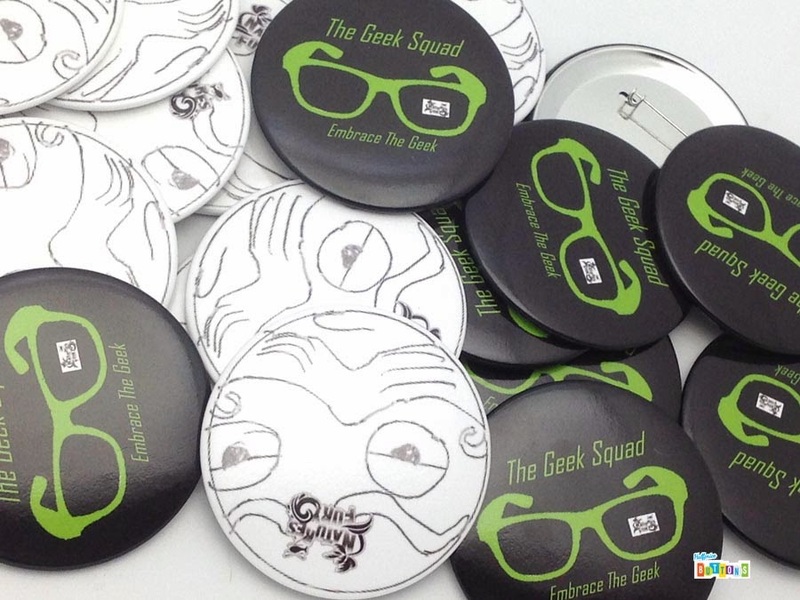 As always we are the low cost provider of blank pinback buttons. 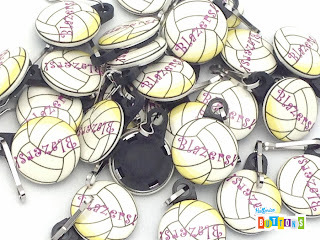 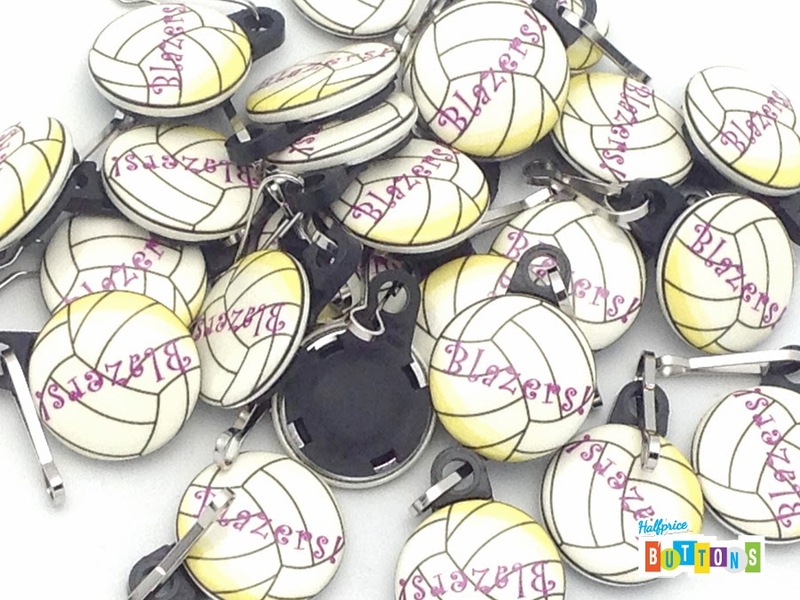 We can customize zipper pulls for your team. 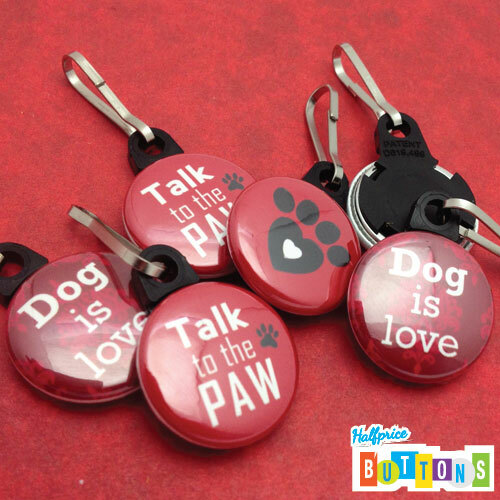 Check out our custom zipper pulls on etsy, or contact us on via live chat for a custom order. 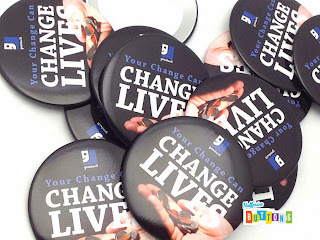 Goodwill Buttons - 3inch Pinback - Your change can make a difference. 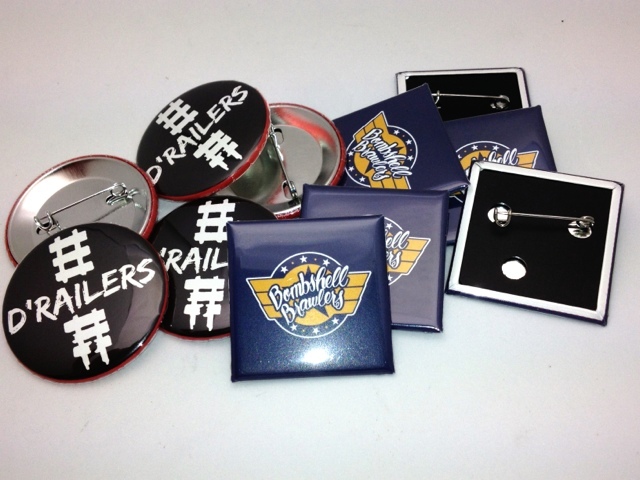 Goodwill pinback buttons! Your change can make a difference, give generously this fall at your local Goodwill. 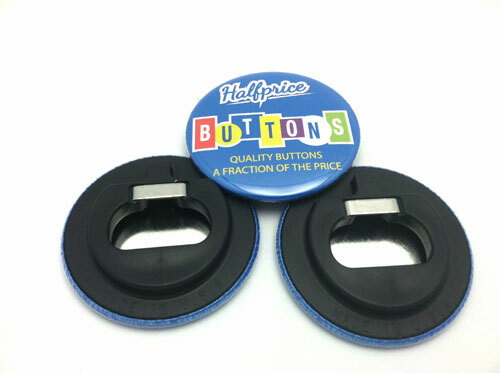 Excellent rectangle buttons in our 2.75" x 1.75" pinback size. 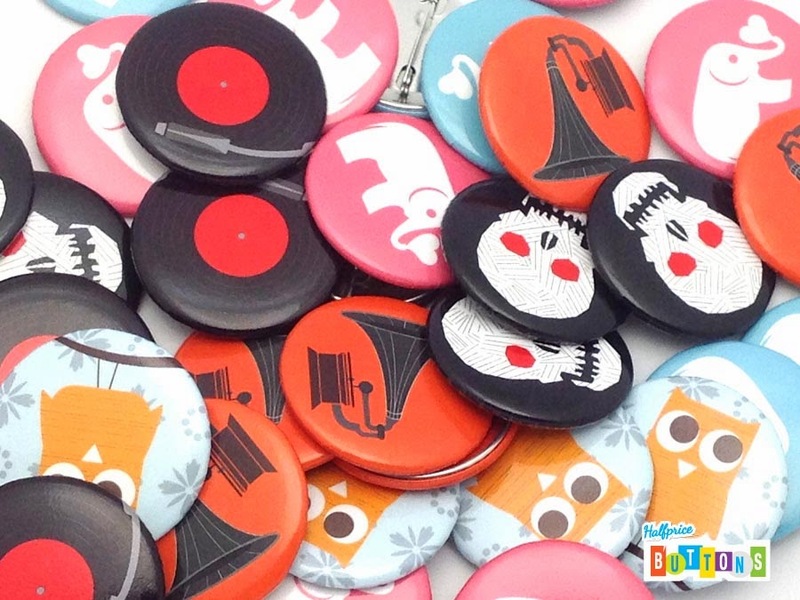 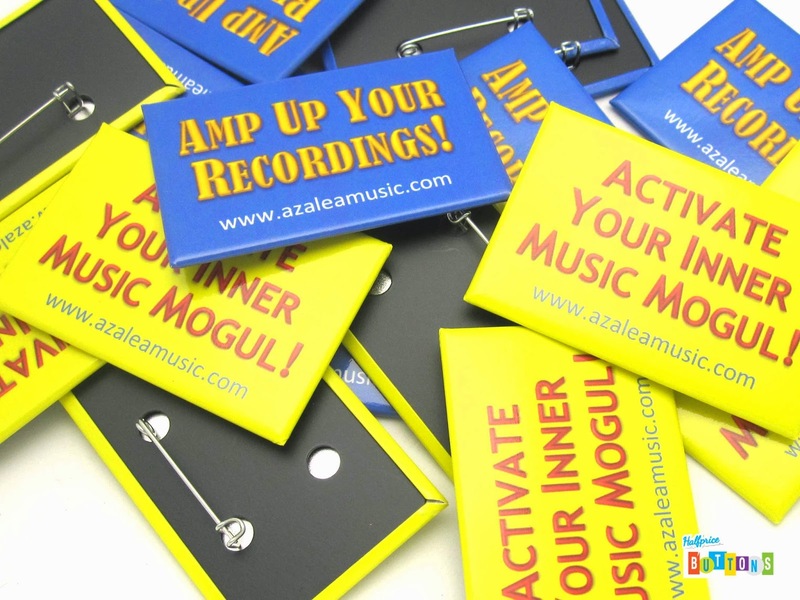 These cute buttons encouraging you to be a music mogul! 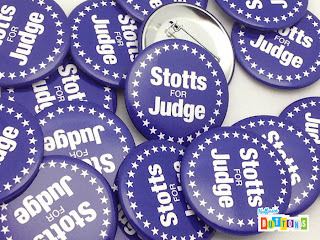 A ring of stars surrounding your favorite judge! 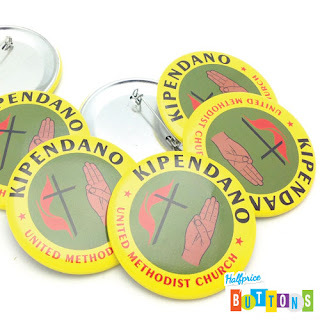 This vintage design consists of a ring of stars, with the primary message in the middle. 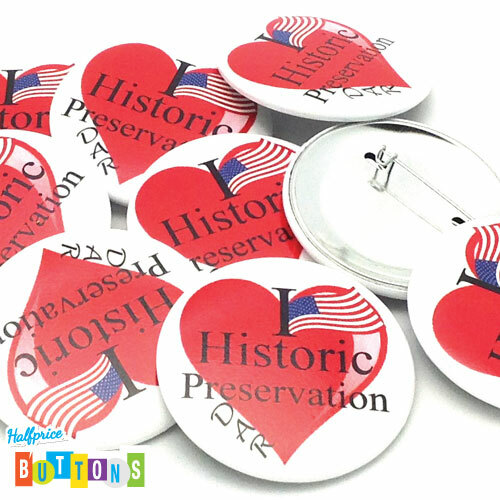 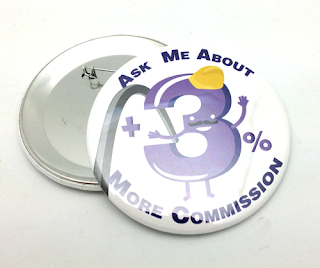 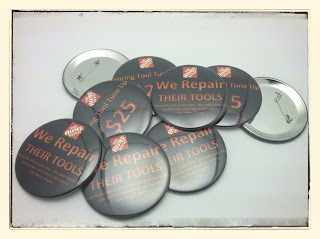 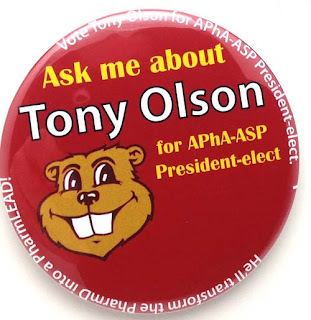 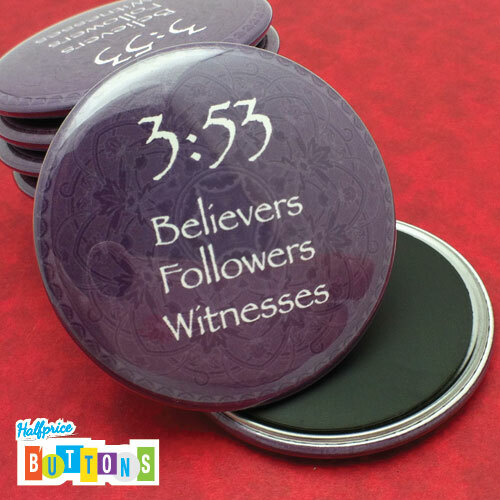 A simple yet effective way to communicate your message with this 2.25" round pinback button. This is a great vertical rectangle button design! 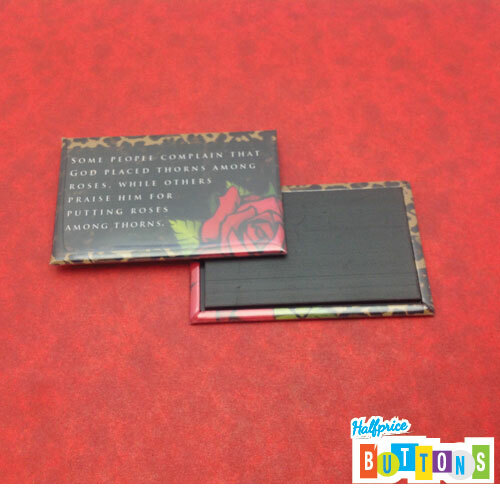 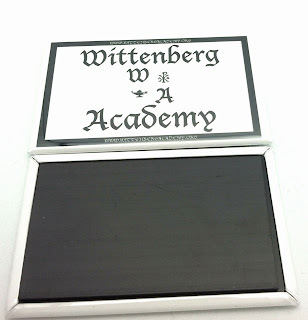 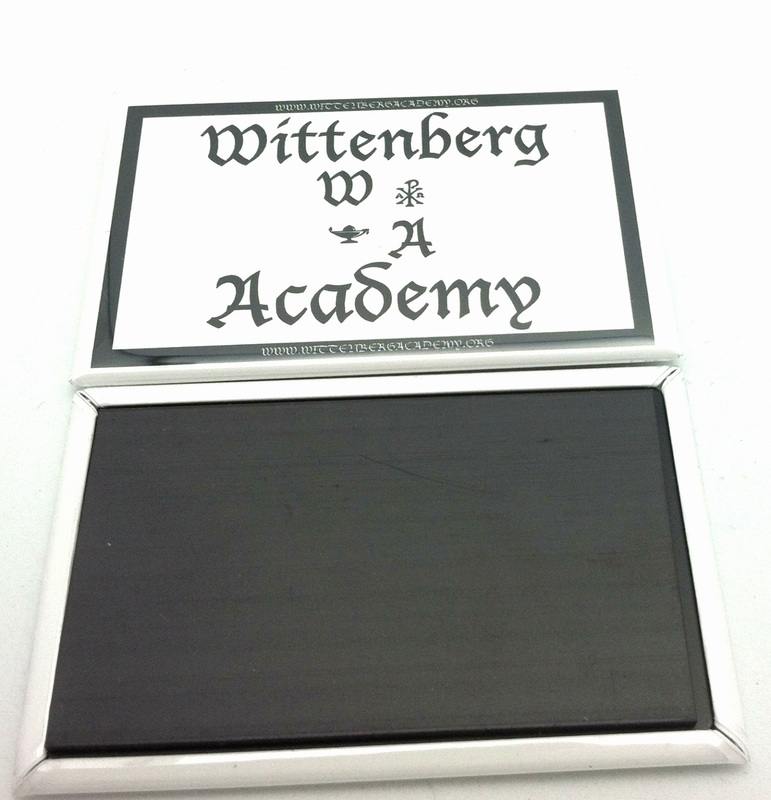 Made in our 1.75" x 2.75" vertical rectangle size, with a pinback. 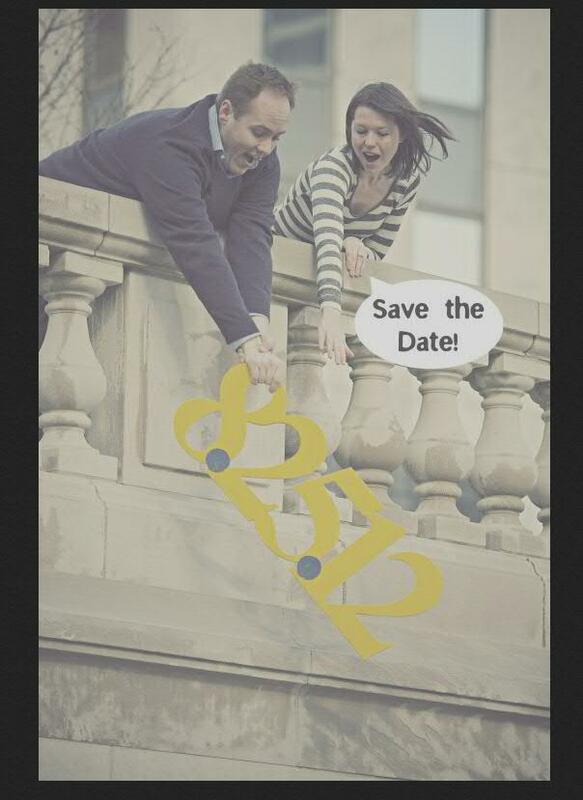 Running for schoolboard? 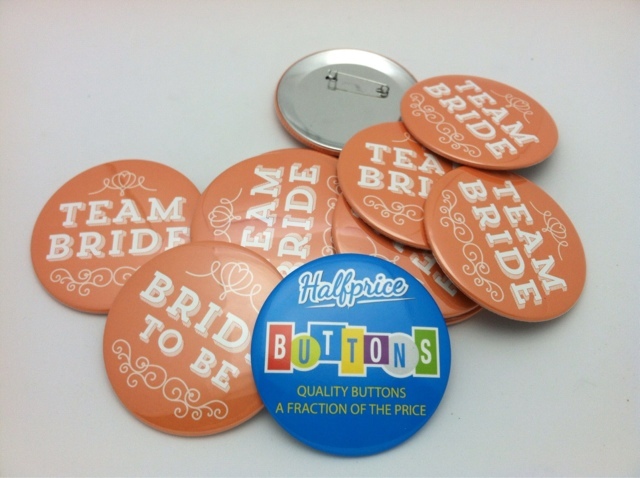 Let us help you win your campaign with custom buttons! 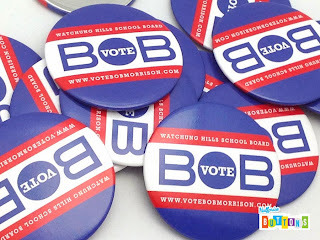 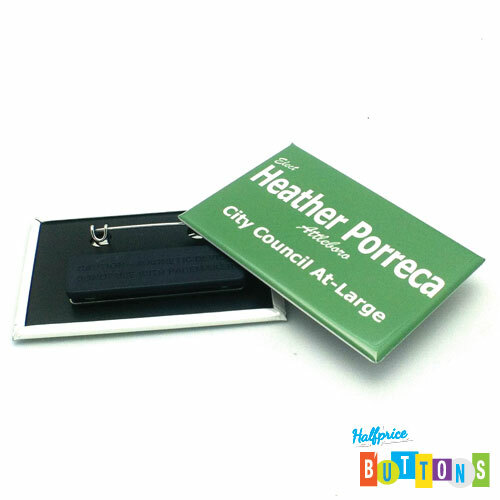 These 3 inch pinback buttons are a great choice to get your name before the people of your district. 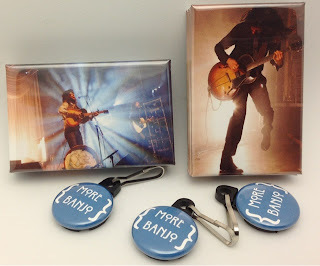 Are you a fan of old time bluegrass, or the more current version featured by the Avett Brothers and Mumford and Sons? A few folks around Half Price Buttons are huge fans of the Avett Brothers and we've made this custom zipper pull to celebrate. 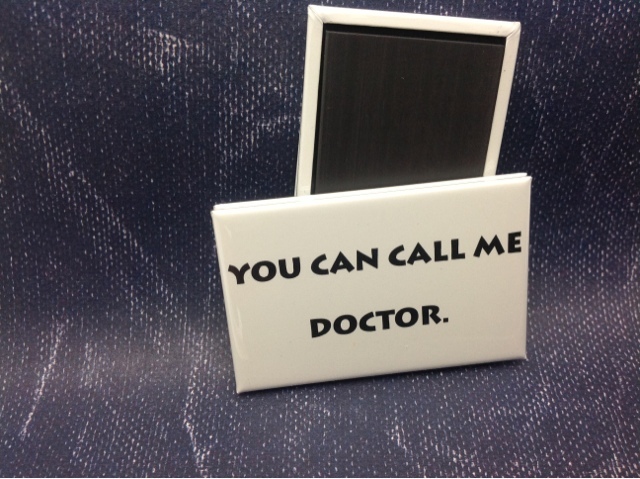 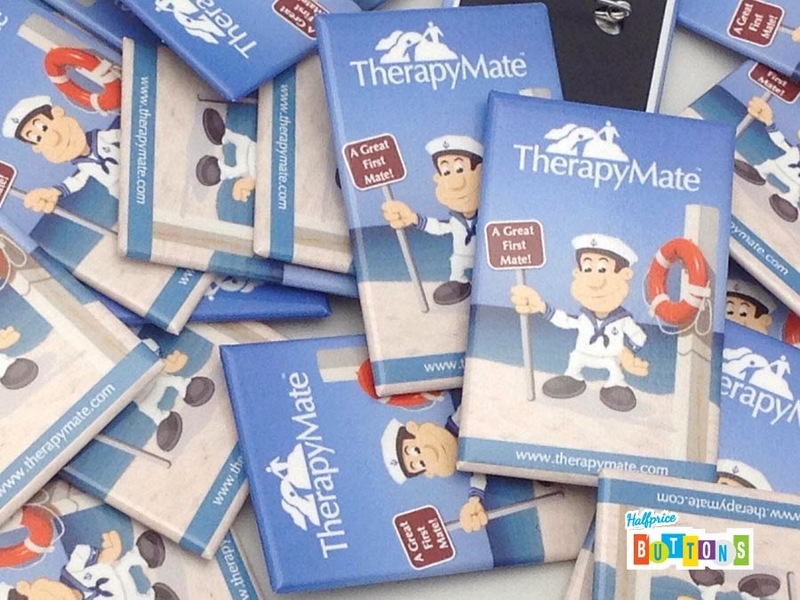 Shown in the background are custom rectangle magnets from a recent show. 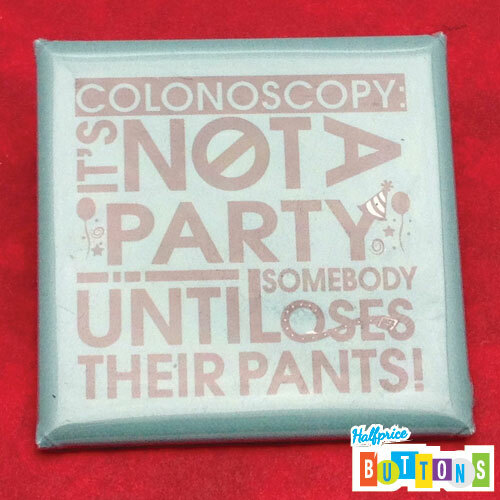 The photo was taken by Jen C.
Banjo buttons available on our etsy store. 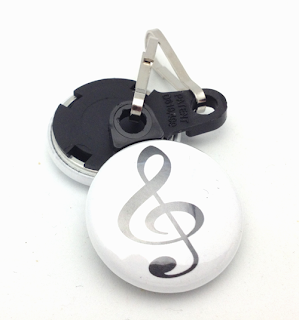 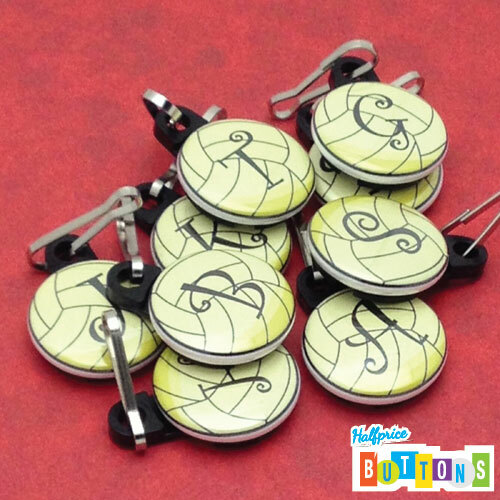 Let the musician in your life know the love with a custom zipper pull, in a musical theme. A quarter note here, an eighth note here, we can string together a theme for you based on your favorite notes.